How to start a newsletter when Nxt has already been on the roll for 2.5 months? This week a critical bug was found in the Nxt core. If you are still running a client below 0.6, update to the latest client at nxctcrypto.org (404 link removed) NOW. Fixed a critical bug. Everybody should upgrade immediately. Few days ago the guy who found a vulnerability in Blockchain.Info and picked the secret phrase of Nxt genesis account found a security flaw in NRS cryptographic algorithm. The flaw allowed to replay transactions that would lead to double-triple-etc amounts sent. In fact, by finding this flaw he conducted an audit of Crypto class and won the bounty that we collected specially for such a case. I can’t explain details of the flaw, coz it’s out of my area of expertise. U can contact him directly via nextcoin.org forum. The flaw has been fixed and all who updated to 0.6.0+ are safe now. Users of older versions are safe too as long as they are connected to nodes with 0.6.0+. On the 11th of February the public test begins! Testnet. I’ll be giving testcoins to everyone. There is an update of the ClieNXT GUI: [Code name] AE testnet. Unclaimed Coins has been transferred to the 3 chosen treasurers. Only 100k is left on the account controlled by CfB. It will be used to pay the reward for the injected fatal flaw. Rickyjames has made a “summary of organizational activity which has occurred during the first five days of the NXT Community Nominations To The Funding Committee” and followed this up with 4 proposals, posting polls on these. We now have nearly 1 million usd budget to be able to fund everything in parallel, plus as nxt gains value so does budget! Interested? You should be. Get involved. Go vote, NXTers. (…) he is upset that community doesn’t wish to review and develop his ideas. Anon136 is the only one who does. (…) Start with Transparent mining, or What makes Nxt a 2nd generation currency and extend it or find flaws and fix them. Anon136’s article “Why NXT ought to be taken seriously” is found HERE. All Nxters should read this and comment. The open question is: WIll the community follow BCNext’s ideas – or choose a different path? Yes…. We DO have an urgent need to get the decentralized initiatives and Nxt development organized! I’ve started a section on the wiki for organizing our projects. In particular, check out the List of Proposals and Bounties page. We could link to stuff that is “active” there: Forum threads, google docs, or other wiki pages where projects are being discussed and hashed out, and project statuses are being updated. (…) Don’t worry about messing things up, it’s a wiki, everything can be reversed. And don’t worry if you don’t know wiki formatting, just type/copy and paste. Other people can help you clean things up. If there’s demand, I’ll put up a quick guide to simple wiki editing. I’ll be technical support. Anyone has a problem, e.g. getting errors, can’t figure out how to do something, ask me and I’ll troubleshoot. It can’t be stressed enough: Go there. This applies to ongoing projects and new initiatives: Write your project or idea into the wiki, please. If you want to be sure to get your update or new project mentioned in the NXT Newsletter, post HERE. is to be released by the end of this month. Sign up for the FICS/NXT tournament HERE. 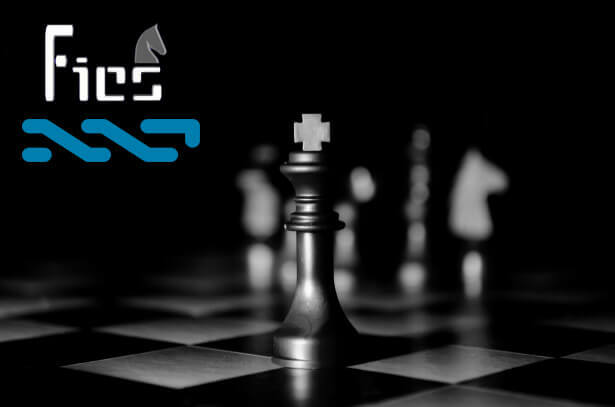 Share a “NXT bringing anonymous payments to the world of chess” article. A WordPress plugin, that allow log in with NXT token. The RSS feed for the cast is NOT ready to go yet, but the first episode is done! BTC Talk Episode 82 https://soundcloud.com/mindtomatter/e81-the-bitcoin-opportunity from 13:30m onwards. Imagine Bitcoin 100 years from now. Most of income comes as transaction fees. Nxt is a time machine that brings us to that era. This thread is a crazy roller coaster ride. It strains everybody’s abilities just to hang on for the ride. We all do it because if something interesting about NXT is going to pop up, it’s probably going to pop up here first. But it takes everybody’s personal mental bandwidth just to process these posts. That said, to gather information and defragment the thread on bitcointalk is almost a full time job. To be sure to get your message through to the newsletter, you can contact: http://test.nxter.org/contact . Go to nxtcrypto.org, wiki.nxtcrypto.org, nextcoin.org or nxter.org to find out more about NXT.